They're as American as apple pie and as much a wardrobe classic as jeans and T-shirts. We're talking about baseball caps, of course. The timeless sportswear staple is part of our cultural identity that transcends time, age, gender, profession, and even sports. Young children, grown men, and women wear them, as do basketball players and tennis players, umpires and truck drivers, and postal workers and servicemen. Indeed, it seems there are baseball cap styles to suit every person across all walks of life. While it was a straw hat that the New York Knickerbockers first wore as part of their baseball uniform in 1849, the baseball hat as we know it today was born in 1860, when the Brooklyn Excelsiors baseball team wore wool caps with a round crown and long flat peak. Nowadays, baseball caps come in a variety of fabrics from wool, denim, or cotton to linen, cashmere, and synthetic materials such as nylon, mesh, and polyester. 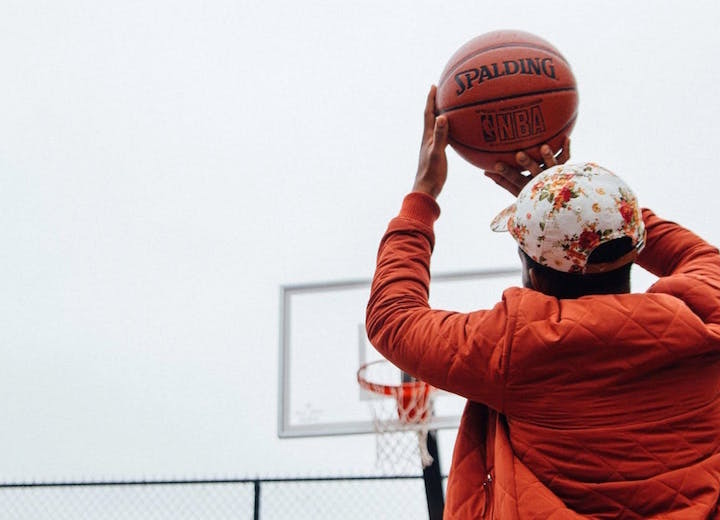 This easygoing hat is synonymous with Major League Baseball, but you don't have to follow a particular sports team to rock the look — this versatile of fashion accessory can be worn to suit your personal style. What's more, a baseball hat is easily packed when not in use and it's a simple solution for those who don't feel comfortable wearing a full-on sun hat. 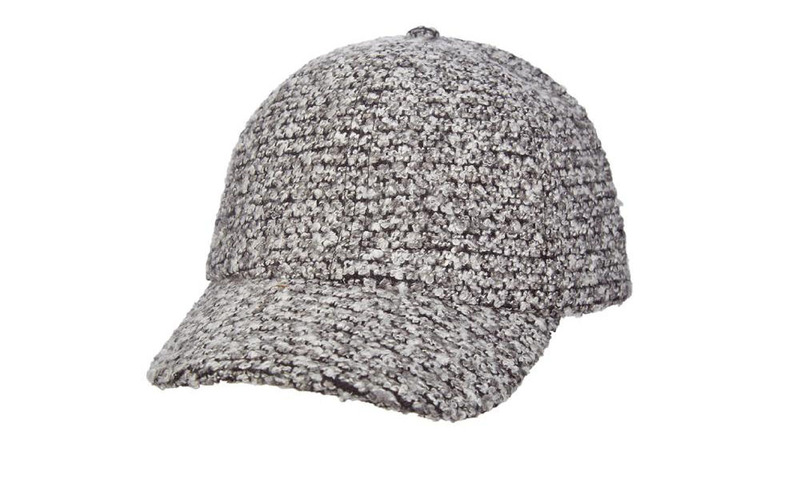 Plus, baseball caps are a great option to cover up those bad hair days in a hurry. Here's how to wear a baseball cap whether you want to keep things casual or step up your style game. "Take me out to the ball game. Take me out with the crowd." You probably know that old refrain if you've ever been to a baseball game, and like the song, a snapback cap is a classic. Characterized by a flat peak and structured design, this classic style gets its name from the snap-closure on the back of the hat. The snaps are usually plastic even if the cap is made of wool, cotton, or other material. Popularized by New Era, the official hat supplier to the MLB, the snapback cap is de rigueur for Major League baseball players. Try a versatile, timeless snapback with a denim jacket and skinny jeans. 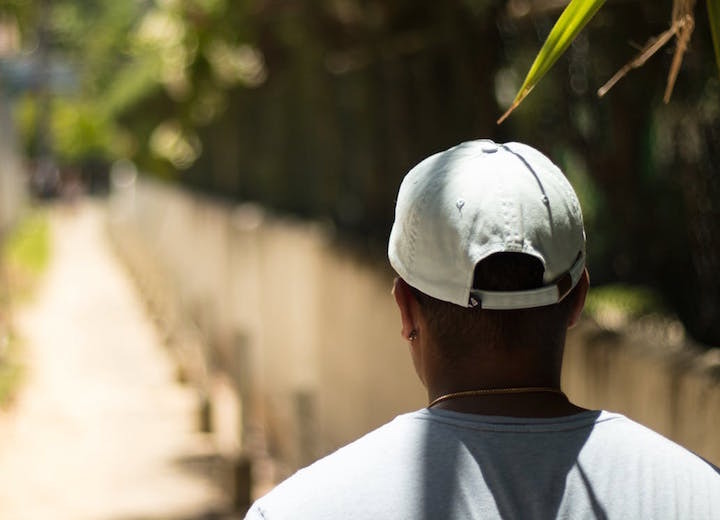 Similar to the snapback, a strapback baseball cap simply describes one that uses a strap in the back to adjust the fit rather than a strip of plastic snaps. Strapback baseball hats come in a number of different materials including cotton, nylon, or leather. Women can pair a strapback cap with a T-shirt dress or maxi dress for a fun day look while gents can try this reflective white option from Supreme or cotton-polyester number from Nike. 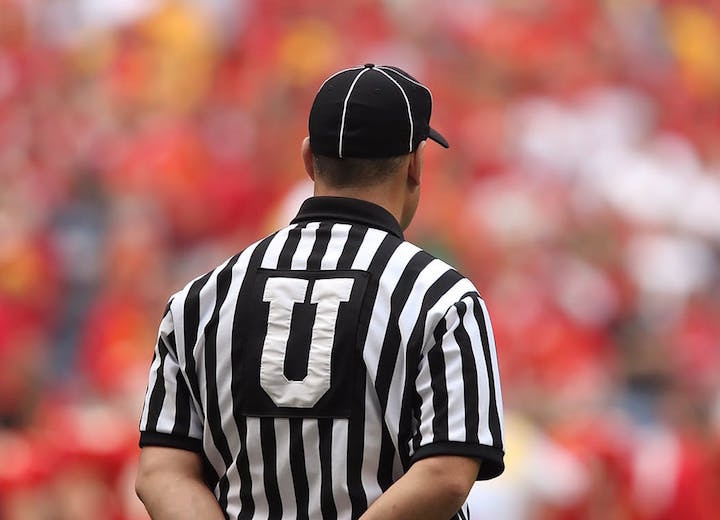 Whether you're a referee on style or on the actual field, a fitted baseball cap is a solid choice. But unlike a snapback or strapback baseball cap, a fitted cap cannot be adjusted. As such, it's essential to make sure the hat has a proper fit. Check out our guide on how to measure your hat size so you always play it smart. Focused less on form and more on function, dad hats are the kind of fuss-free baseball cap you can imagine any dad wearing. That said, plenty of women don this style of hat. This baseball cap is usually made of cotton or canvas with a low profile, slightly curved bill, and a slightly oversized fit. Even Malia Obama was spotted sporting the look. 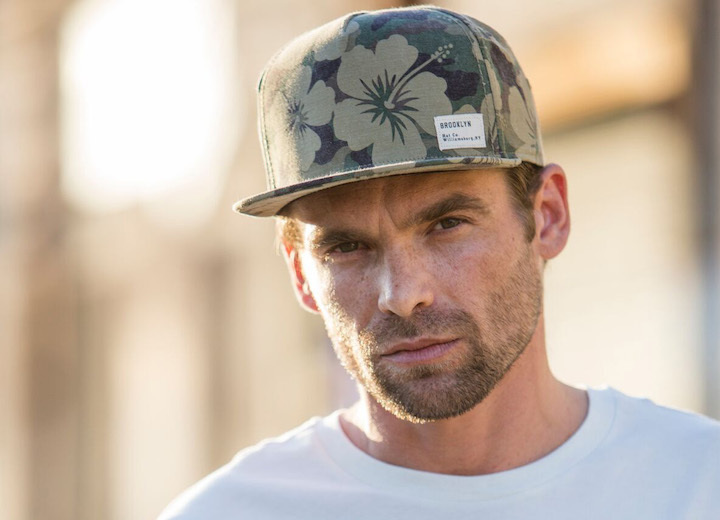 These stylish baseball caps place a premium on details and quality fabrics. They are marked by a more fashion-forward sensibility from high-end brands such as Gucci, Ralph Lauren, Michael Kors, and Vetements. Think leather baseball caps like Stetson's chocolate brown version or pebbled leather black baseball hat. Women can pair a premium cap with a silk blouse, chic skirt, and ballet flats while men should consider keeping their wardrobe simple to let this stylish accessory take center stage. Named after the truck drivers and rural workers who wore them back in the 1970s, trucker hats (also called hunter hats) were hurled into pop culture infamy in the early 2000s by actor Ashton Kutcher and brands like Von Dutch. These mesh snapback baseball caps are an equal opportunity destroyer of good fashion taste, but hey, to each his (or her) own. The general rule for wearing a baseball cap is to find one with a good fit. This means it should feel snug on your head to avoid falling off, but never so tight that it gives you a headache or leaves red marks and indentations on your forehead. Unless the visor is obstructing your view or preventing you from otherwise safely doing a task, don't wear a baseball cap backwards. It's just not a good look. Same goes for wearing it sideways. That only works for toddlers. And if you're reading this, you are not a toddler. Remember that less is more. 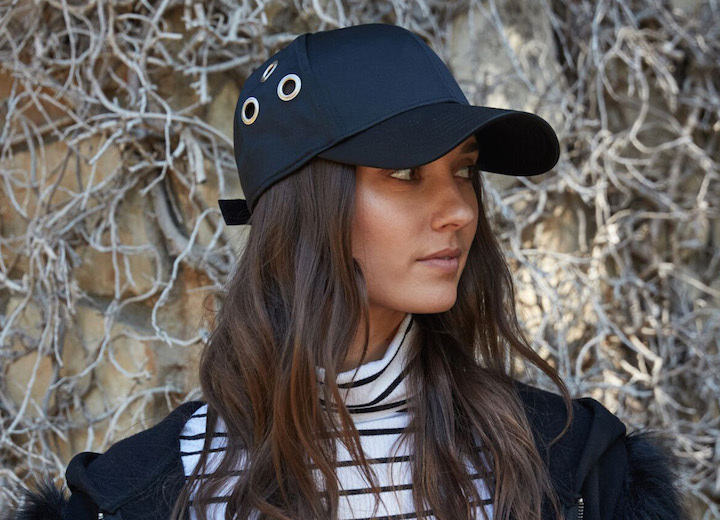 You can get a lot more mileage out of a plain black cap or clean white baseball cap than some trendy graffiti-laden lid that will only take you so far and lose its appeal after wearing it for one season. Know your material. If you sweat a lot or plan on being in the sun, choose a baseball cap in a breathable fabric such as cotton. Conversely, if you're wearing a cap in the cold, opt for warmer materials such as wool or suede. Oh, and if you plan to sport a baseball cap with a leather jacket, don't double up with a leather cap. That's just overkill. Keep it clean. This is common sense, but it's worth mentioning. A grimy hat is never cute. Here's how to clean a baseball hat. 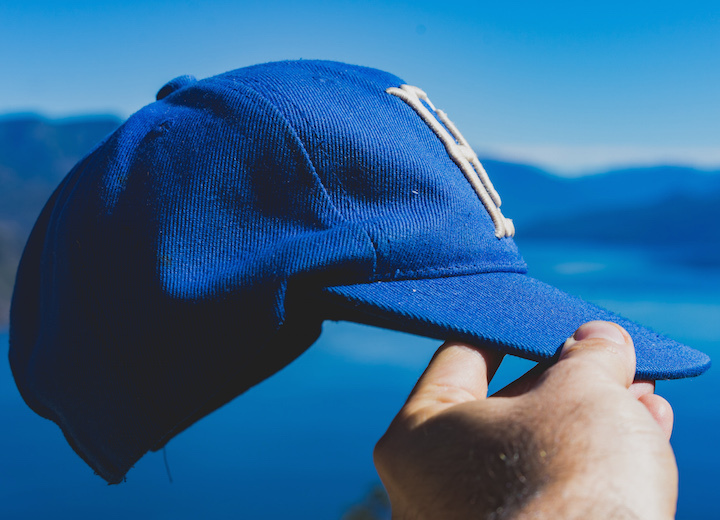 Whether you're a Yankees or Dodgers fan cheering on your favorite team or you just need an easy way to protect your face from the sun, there's no wrong reason for wearing a baseball cap. This iconic piece of Americana has been around for well over 150 years and will continue to be a wardrobe essential for men and women, young and old. While we've listed the main points on how to wear this timeless headgear, the truth is you can wear a baseball hat however you want. 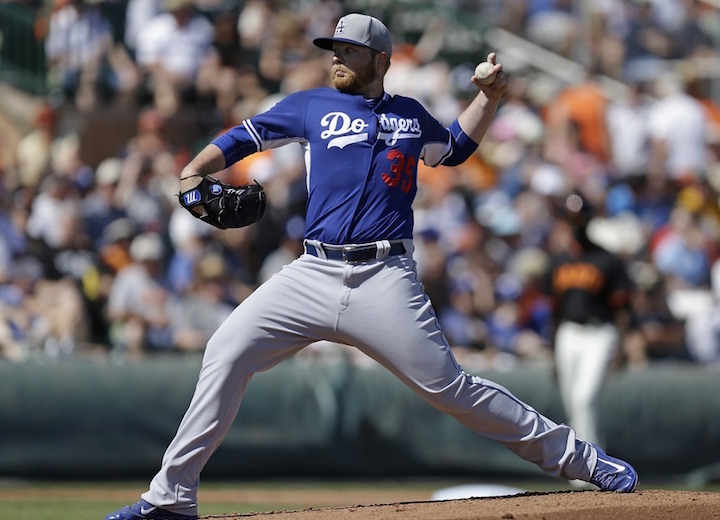 These guidelines are intended to give you ideas to help you feel and look your best whether you're heading to a baseball game, weekend celebration, or night on the town.